Encourage your customers to call for a price quote. With this Magento module you can hide the price and the "add to cart" button, and display the "call for price" button for specific products, categories, brands, customer groups, date ranges and more. Depending on your configurations, the "Call for Price" button can be displayed on selected Product Pages, Category Pages, Related Products, Cross-sells and Up-sells. Create custom Magento Conditions to hide product prices based on a category ID, product price, customer group, store view, date range, etc. Your customers can leave a message specifying their phone number, email and other contact information along with the most convenient time to receive a call back. Admin can conveniently view and manage all callback requests in one place from the Magento backend. Receive an Email or Magento notification each time a new call back request is submitted. Admin can rename "Call for Price" button or edit any texts directly from the Magento backend. Call for Price extension is compatible with the native, custom or third-party Magento Themes. Magento Call for Price extension is a perfect solution for any B2B site. It allows merchants to hide prices and remove 'add to cart' buttons on product pages, category pages and everywhere else on the website. Your customers will be able to submit a message and request a call back at a convenient time. There are many circumstances when this Magento plugin will become an indispensable tool for your business. Whether your product prices are changing regularly, you have a private sales store, a special discount from a manufacturer or even offer this product for free to a selected group of customers who ask for the price. With this module at your disposal, you can be sure to increase revenue by allowing your sales department to work with clients directly and build solid, long-lasting business relationships. Customers can submit a "Call For Price" request from Product Page, Category Page, Related Products, Cross-sells and Up-sells. I decided to purchase this module from Plumrocket and it was definitely a good call! The extension is very easy to setup and use. It is also a very intuitive one. Although there were some minor conflicts with our custom theme, their support fixed all the issues in a few hours after I submitted a ticket. This is the best expansion in the market ! The support is excellent. I recommend this extension. I would like to say many "thanks" to the developers! Super easy tool which can be set up just in a few clicks! The convenient tab of managing call for price requests and rules made this module my favorite one! The extension works as described, adding the functionality a lot were missing in vanilla Magento. Nothing complicated during the setup, the configurations are straightforward. The wiki guide helped me have it up and running instantly. 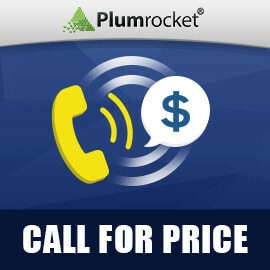 I will definitely be purchasing other plumrocket modules, as they have a top-level customer support too. Request Page of Admin Panel includes the functionality to observe all products' attributes selected by the customer after "Call for Price" request is submitted. Added an opportunity to enable/disable fields for "Call for Price" popup form.